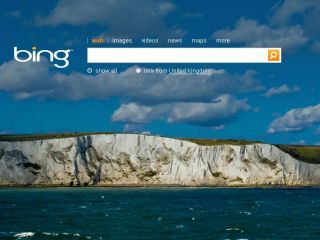 We've spent the working week using Bing as our main search engine. Will we stay with it? Probably not. Were we impressed? Overall, yes. Bing is the best search Microsoft has yet produced, but it lacks a layer of ingenuity that we now take for granted when we search with Google. Put a UK postcode into Google and it knows I want a map. Put it into Bing and more often than not, you end up with a list of search results. This isn't helpful and is the same when looking for added value Google items such as converting distances or time across different zones. Google may have been criticised for its desire to provide this information rather than channel the traffic elsewhere, but the fact is we're now used to this level of functionality. And so we expect it from Bing. Bing does deliver weather fantastically well, so it's a shame that Microsoft hasn't extended this to other common tasks, too. Mind you, Bing does have some other great features. The Related Searches bar is surprisingly useful to refine your search, while the video search feature (with integrated playback) is really rather good. We also shouldn't be too harsh on Bing – it is, after all, just days on from launch whereas Google has spent years perfecting its search. That fact that Bing is in beta does not excuse it, however; everything seems to be in beta these days. Another Bing problem is when it comes to very specific searching. Microsoft's engine is fine when performing a basic search, such as 'Telegraph Wine Club,' but is not yet at Google levels of indexing when trying to find a specific article in a massive site such as telegraph.co.uk. No doubt this will improve, but it's patchy at present. Likewise, searching for news articles via the News section is terrible. There seems to be no relevancy to the search, so all you end up with is a whole load of articles mentioning your keywords. And you can't reorder or sort them, you can only search again. Were we ever tempted to go back to Google? Well, yes. But that was because we've come to rely on more from Google than just the search engine. There was a time when Google's disparate sites weren't easy to jump between, but that's no longer the case. And so despite disabling the Google Toolbar for the week, we were still using Google Calendar and Gmail. Google's strength is that it now has a complete ecosystem of online products and search is intrinsic within that. Microsoft must be hoping for the same with Bing and Windows Live.